Sure, you can get rid of barrels and crates, but then how will players know what to bust open with their crowbars? 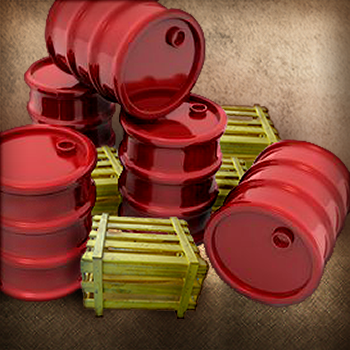 The idea that red barrels explode and wooden crates can be busted open like piÃ±atas filled with bullets, health, and other goodies, is so common in videogames that it's become a clichÃ©. But while it seems a simple matter just to not use these ever-so-common common videogame set dressing, it's rarely as simple as that. In Issue 297 of The Escapist, Tim Latshaw looks at some of the more common tropes in gaming, and how hard it is for developers to get away from them. In terms of first-person shooters and other games focused on quick responses, it most often makes sense to simply give in and go with what makes the player feel most comfortable. Sure, they may complain about the clichÃ©s, but it's ultimately better than having them complain that the game plays "wrong." A representative of the Bulletstorm design team, known as Arcade, blogged about the process that went into making the exploding barrels in the game. They initially wanted to go with green barrels to counter the red stereotype. In the heat of the action, however, they discovered players largely ignored the barrels; they would see a flash of green while running and it didn't register as "explosive." In this case, the team rightly decided that conveying an instant message was more important that making a style statement. By defying expectations, developers are faced with a thorny problem of trying to educate the player about what item has what function, and that's a challenge that's not always worth the effort. You can read more about it in Latshaw's article, "Green Barrels Don't Explode."